No matter what common name you call it by, botanically the tomato is called Lycopersicon esculentum and is a member of the Solanaceae Family, AKA, the Nightshade Family. Probably the most favored garden vegetable grown, it was first discovered in the Andes before finding its way to Europe, then to the U.S. Worldwide production in 2005 was led by China, followed by the U.S. then Turkey. In the U.S. tomatoes are the second most consumed vegetable following the potato. California grows the most, Indiana, then Ohio. Florida may be on the rise if not already ahead of Indiana and Ohio. On average, an acre of tomatoes yielded 37.20 tons of fruit! 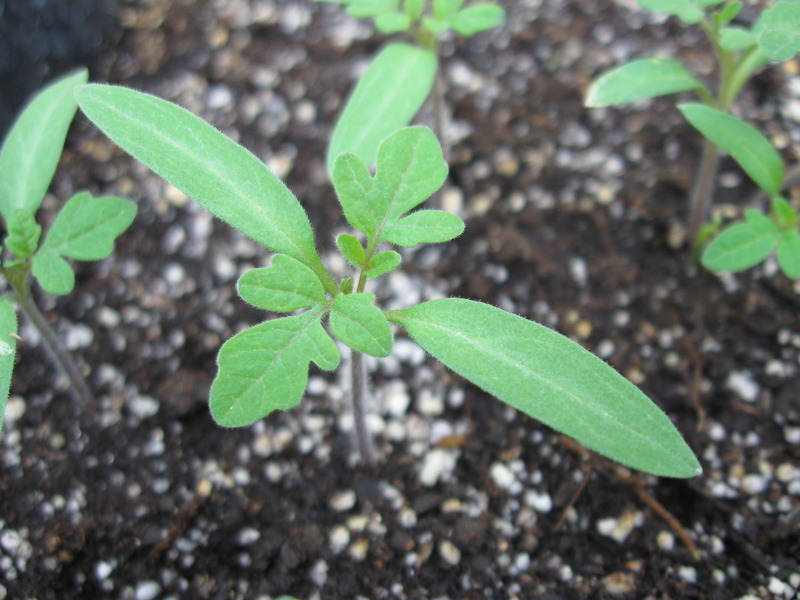 Tomatoes are an annual and need to be transplanted into the garden on or about a week after the last frost date, so now is the perfect time to start seeds indoors if you like. I use a heat mat for best germination. Soil temperatures can range from 70 to 95, and seeds will germinate within about 5-8 days. Make sure you keep evenly moist, and remember to turn on the grow lights once they have germinated. Transplant into small containers once the first true leaves appear. There are basically two types of tomatoes. Determinate types, which don’t have to be staked, or Indeterminate types, which need to be staked. Most of the greenhouse grown tomatoes sold “on the vine” are indeterminate types grown in a greenhouse. These types are also great for Urban Farmscapes since they take up less space horizontally, and can be trained to grow up as high as you allow them. When you transplant into the garden, make sure you cage or stake your tomato right away. Pruning is also recommended, but I will show you that later in June. For now, starting your seeds is the most important thing to do. Don’t want to start seeds, no problem! Tomatoes plants are plentiful in the garden centers. Even several heirloom favorites such as a pink variety called Brandywine. When you transplant your tomato into a container or plant a mature plant into the garden, you can plant it deep, covering much of the stem. You are breaking all the rules of transplanting when doing this. But the tomato will form roots on the stem planted below the soil line, thus creating a stronger root zone, and stronger plant in the long run. So don’t worry if your seedlings get a little “leggy” a term used when they stretch and may fall over due to low light conditions. Tomatoes also like a lot of fertilizer. Don’t over fertilize with nitrogen fertilizers as this will cause the leaves to grow really big and lush, but little fruit will form. Higher amounts of phosphorus are needed (remember N-P-K from previous post). Johnny’s Selected Seeds recommends using a liquid fertilizer when transplanting such as Neptunes Harvest Fish Fertilizer 2-4-1 which is certified organic and OMRI listed. Garden centers should sell this, but if not, check with your local hydroponic stores. They will most likely have it, or something equivalent. While you’re at it, look at the hydroponic supplies. 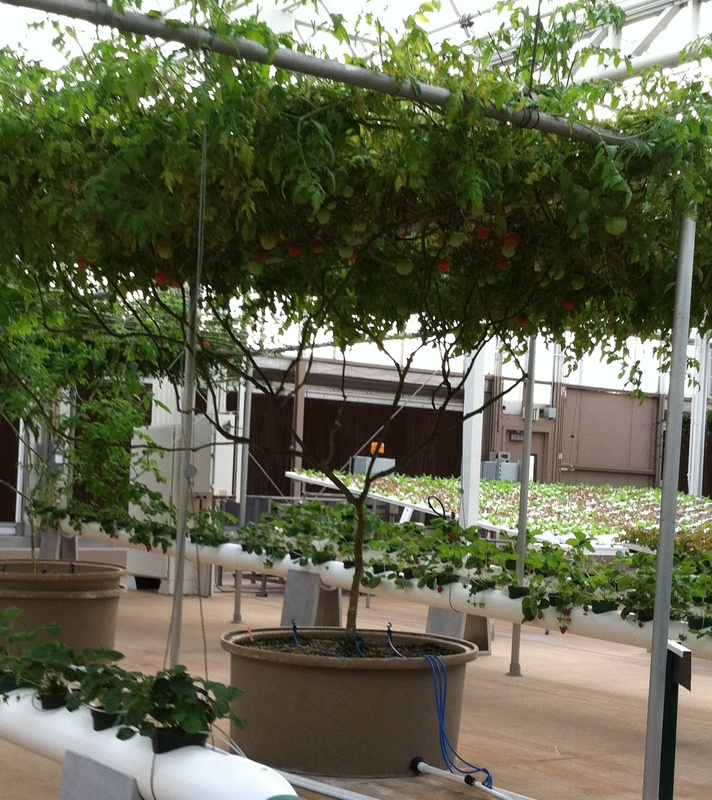 Tomatoes are a great plant to grow hydroponically. Look at this one at Disney’s greenhouse in Epcot’s “Living with the Land”. Amazing! I want one! 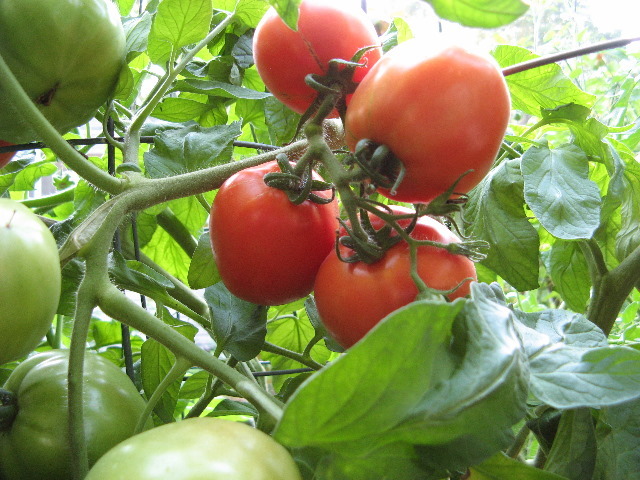 Tomatoes are pretty tolerant of chlorine and very tolerant of fluoride so makes a good plant to grow with city water. As far as diseases go, Late blights or Early blights have been a problem for farmers. The best thing to do is to grow varieties that are resistant. If you start to see signs such as brown spots on leaves or a white powdery substance under the leaves, remove, destroy (do NOT compost), and apply an organic fungicide per directions. If the plant looks too bad, pull it out and remove it totally. This disease will spread rapidly under wet conditions (like rain). Eliminating overhead watering will help to deter also. And what about bugs? Don’t worry, you won’t have too many problems. But if you see the leaves being munched on, or black droppings on the leaves, you probably have a tomato hornworm. You’ll know it when you see it. If eggs are left to winter in the soil, they will turn into moths next spring. If you have ever seen a hummingbird moth, you may not want to kill your tomato hornworm. But then again, if it is eating all of your tomato plant, then pick it off and destroy as you wish or not. Tomatoes are so good for you and are wonderful eaten fresh, canned, sauced, whole, sliced, or fried. This is my favorite and one that you will be reading more about as the growing season progresses. Here’s a little secret. Grow them on the dry side. Research has shown that the more you water, the less flavor the tomato will have. I’ve never tasted a bad tomato, but have had some tastless ones. What’s your favorite type or variety of tomato?